Never send to know for whom the bell tolls; It tolls for thee… and more specifically, it tolls for Spazzkid. Hear the clanging knell kneading the air like vast clouds rolling through valleys, the ding dang dong of another musicmaking moniker moored at the banks of the ever-flowing river, never to plough through waves again. But don't worry, Mark Redito is still around. After much consideration, the man himself decided to shed his Spazzkid moniker and just stick with his irl birth name. Specifically, aside from artistic growth, new directions and feeling as if what he's making now is quite different to what he's making now, it's to do with the offensiveness of the very name "Spazzkid", and "undergoing scrutiny" because of it – even if he was originally just named after a band. "After careful research into the various uses of the word “spaz” as a derogatory term," he writes via email. "I no longer feel comfortable representing my music and art with a term that has the power to hurt a large group of people. While it was never my intention to offend anyone, I owe every person aggrieved by my old moniker a heartfelt apology, and this is just that. I’m sorry." 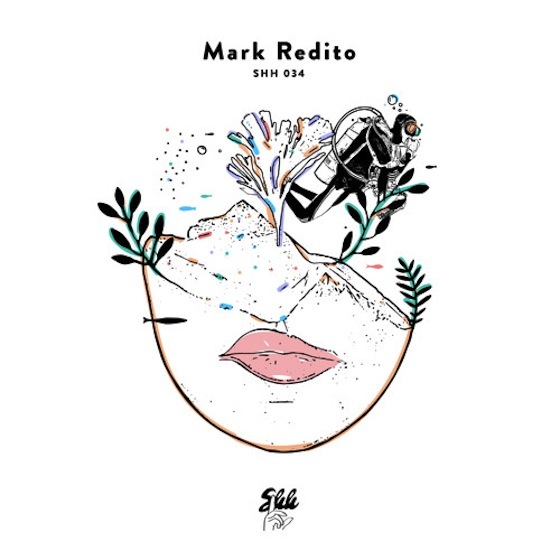 To mark (haha) this change we have a new track, heralding the turning of a page to a new chapter in the story that is the music of Mark Redito. It surfaced on Ryan Hemsworth-run, friends-only, not-a-label-but-a-SoundCloud-platform Secret Songs and it's called '3am Apologies'. The first thing that sprang to mind whilst listening to this was festival music. Not any old festival music, but traditional music from the Japanese festival of Obon (or just Bon), held in summertime across Japan to honour the dead. What took me there? The swaying feel and dizzyily offbeat melodies of '3am Apologies' match those of the music that goes with bon odori i.e. "bon dance" – I say the music, but there are as many different variations of this dance as there are major regions and cities in Japan; perhaps it's akin to the awa odori of Tokushima on Shikoku, or maybe it's closer to Kagoshima's ohara bushi. Either way, there's a fair spot of considered delirium at work in '3am Apologies', which made me think of Bon. Added to this inebriated festival atmosphere is a heavily swaggering dub-flavoured rhythm, further highlighting a decidedly beat-themed foray for the first venture as Mark Redito, and ornamented with countless drum ad-libs that roll and rollick with virtuosic energy, yet that feel blissfully restrained by the slow, oozingly oscillating rhythm. Swathes of fizzing synth cushion piercing lines of melody, all of it rising together in a richly layered crescendo that takes previous elements and arranges them in a model of harmony, each part slotting where it should having been individually introduced earlier on. Mark sings on the track, too, his voice sprinkled with emotion and far-off, as if a dream or previous introspection being reflected upon. We dream with him, in the giddy ambience and half-crazed steadiness of '3am Apologies', swept along by sheets of synth – sometimes airy and ethereal, sometimes buzzing and intense – bouncing onward with the skillfully-crafted elastic organic beats as if being jostled through a crowd. Check out the YES/NO Lazy Interview with Mark Redito, back when he was Spazzkid.